This COOL&SAFE is from 2015, and not all product information is correct! Our COOL & SAFE brochure is available for download. 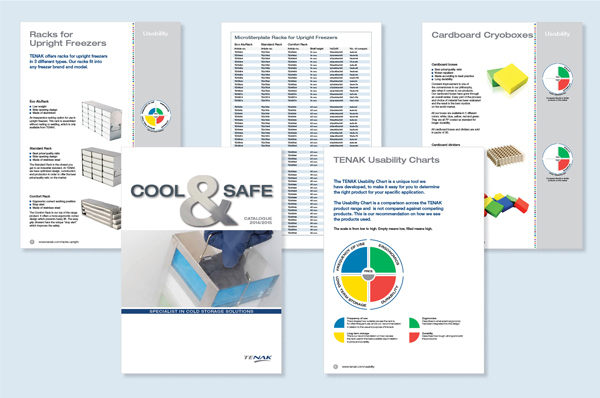 The brochure gives you an overview of the complete TENAK product portfolio. A brand new element in the Cool & Safe is the unique TENAK Usability Chart. The Tenak Usability Chart is a unique tool we have developed, to make it easy for you to determine the right product for your specific application. We have updated the TENAK Boxes brochure for you. We have reviewed all elements of our cardboard cryoboxes. To keep the cost low and the impact on the environment at a minimum, we design our products to last for a long time and we are proud to say that we have the best price/quality ratio on the world market. All the paper is 100% recyclable. The paper/carton based material is produced under forest certification systems. The glue is non-toxic, water based and environmentally friendly. The production takes place under proper humane working conditions at our European factory. 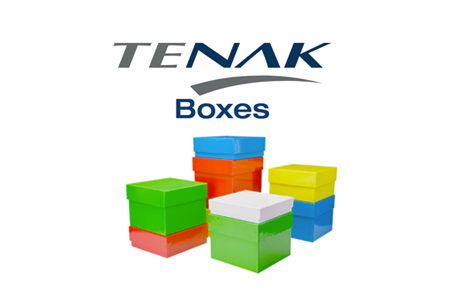 You can download the TENAK Boxes brochure here. TENAK proudly present the first cryotube with external thread to be stored in standard 10 x 10 cryoboxes. TENAK SlimTube optimises capacity with 23.5% compared to conventional storage solutions. 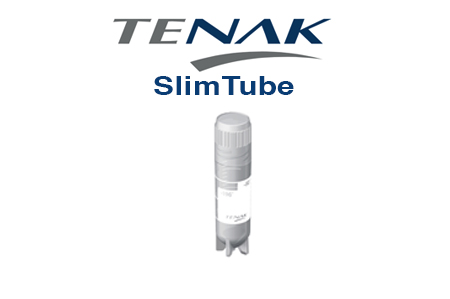 In line with the current trend of smaller sample volume, the TENAK SlimTube is available in five convenient sizes: 0.5 ml, 1.0 ml, 2.0 ml, 4.0 ml, and 5.0 ml. By storing smaller volumes the amount of samples in a freezer can be increased, thus less becomes more. TENAK SlimTube is designed and manufactured in Denmark. It is subject to extensive testing, guaranteeing superb quality. You can download the new TENAK SlimTube brochure here.